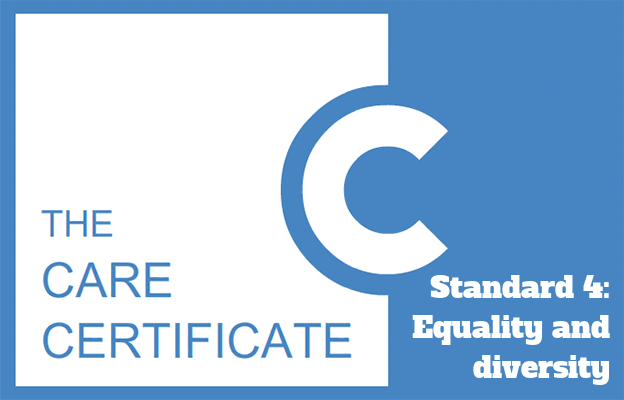 Standard 4 of the Care Certificate explores equality, diversity, inclusion and discrimination. It looks at best practices to ensure inclusion and equality in your setting, why it is important, relevant legislation and sources of further information. It consists of 3 learning outcomes, each consisting of 3 assessment criteria. NOTE: All of these Care Certificate assessment criteria have equivalent assessment criteria in the Level 2 Diploma in Care qualification, so the above links divert to that section.